Bitcoin has progressed from being only a nerd's version of gold years ago. Bitcoin has undergone a lot of ups and downs in its brief history. Online trading school Investoo.com has created an infographic detailing the major Bitcoin crashes since it was introduced. Bitcoin is both a cryptocurrency and an electronic payment system invented by an unidentified programmer, or group of programmers, under the name of Satoshi Nakamoto. It was introduced on 31 October 2008 to a cryptography mailing list, and released as open source software in 2009. Investoo.com notes Bitcoin's journey has been long, from the first Bitcoin transaction, which resulted in the kick-off of the Bitcoin blockchain on 3 January 2009, to the recent moves by Chinese authorities to restrict Bitcoin transactions. Earlier this year, the People's Bank of China launched spot checks on the country's three largest Bitcoin exchanges to look into a range of possible rule violations, amid increasing government efforts to stem capital outflows and relieve pressure on the yuan. Stanko Saponja, an analyst at Investoo.com, notes that when Bitcoin was introduced in 2009, one Bitcoin was equivalent to $0.00076. In December last year, the total value of all Bitcoins in circulation hit a record high of above $14 billion. However, in January this year, the dramatic rally in digital currency came to a spectacular end with a plunge of up to 20% as China's yuan rose sharply. "In 2013, the price briefly exceeded $1 200, and this was followed by a crash in the price of Bitcoin, sending it down to below $250 soon after," Saponja notes. "This has led some skeptics to claim this price rise, too, is a bubble." He points out the size and computing power of the Bitcoin mining network, which confirms and validates transactions, has risen exponentially since then, and the number of users, merchants, and exchange volume has grown similarly. According to Saponja, the rapid rise in 2013 is now attributed to fraudulent trading and price manipulation that exploited illiquid and immature markets, and which eventually led to the famous collapse of the primary, and corrupt, Bitcoin Exchange. "Bitcoin has gone from being just a nerd's version of gold years ago, to now being another thing people do to try to hold onto their wealth," he says. Saponja says in 2015, Bitcoin rose modestly, from $313 to $431, a 37% rise, kicking off a year of steady growth throughout 2016. The price surged 122% in 2016, making it one of the top trades of the year (from around $400 to just under $1 000), he adds. 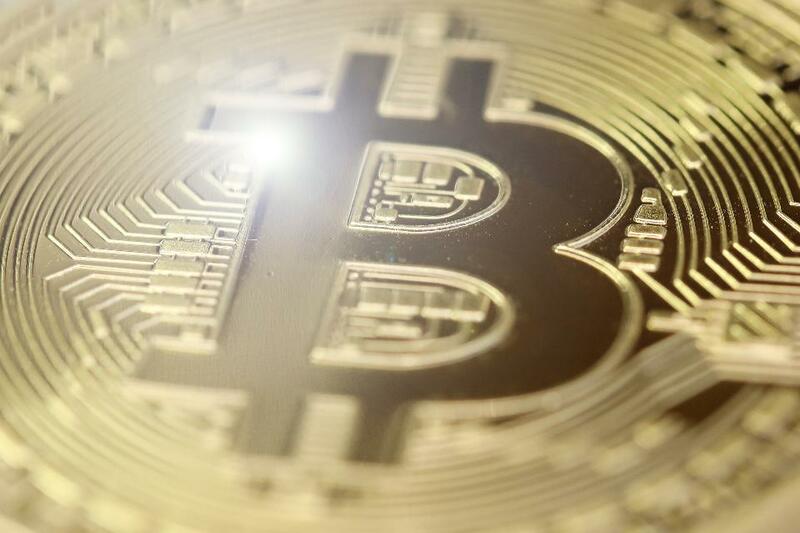 Investoo.com notes 2016 saw relative price stability in Bitcoin, as its price rose steadily, and with lower volatility than had been experienced in the past, and it also gained wider acceptance and legitimacy as a means of payment. Some analysts predict 2017 will be another banner year, while others are more skeptical, calling this recent rise a bubble that is waiting to burst (current price is 1 BTC = $1 023.38 – 27 March 2017). "My opinion is that demand for Bitcoin as a currency is also likely to continue to grow in 2017, again as China has promised to restrict capital outflows and to devalue its currency in order to protect exporters." Describing the major drivers of Bitcoin, Saponja says increased demand came from China as capital controls tightened and regulators continued to devalue the yuan systematically. China and India have both been big buyers as part of a broader global landscape that has pushed Bitcoin's acceptance, further along, he notes. "Chinese investors have bought Bitcoins as the yuan has lost its value, while the surge in India has been driven thanks to the government's decision to retire some currency denominations. In most countries, companies that trade Bitcoins onto the local currency would be regulated, as more and more larger corporations start offering Bitcoin as a payment alternative." Nonetheless, he says Bitcoin has sometimes attracted the wrong types of people – those looking to prey on others who fall under the spell of a never-ending upward trend for Bitcoin's price. "Whether it's illegal online marketplaces, pump-and-dump schemes or shady crypto exchanges, they all create a black cloud over the industry. And, every time there is another Bitcoin robbery or scam, it draws attention from the mainstream. "The bad actor problem creates a consumer protection issue for Bitcoin. When people learn about Bitcoin and are lured to products and services that do not follow best practices, as opaque as they may be in this industry, that's a problem. According to some analysts, the five biggest threats facing Bitcoin are the centralisation of Bitcoin, fraud, regulation, poor mobile platform support, and confidence." 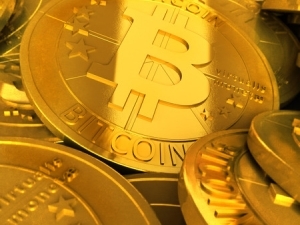 Japan is set to begin recognizing bitcoin as a legal method of payment starting tomorrow. The country's legislature passed a law, following months of debate, that brought bitcoin exchanges under anti-money laundering/know-your-customer rules, while also categorizing bitcoin as a kind of prepaid payment instrument. It's a debate that began in the wake of the collapse of Mt Gox, the now-defunct bitcoin exchange that shuttered after months of growing complications and, in the end, revelations of insolvency and alleged fraud. 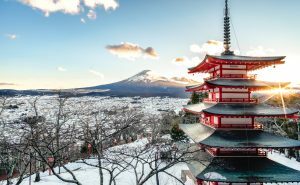 According to Japan’s Financial Services Agency, that law goes into effect on 1st April, putting in place capital requirements for exchanges as well as cybersecurity and operational stipulations. In addition, those exchanges will also be required to conduct employee training programs and submit to annual audits. Yet there may be more work to come in this area. For example, Nomura Research Institute's Yasutake Okano indicated in a May 2016 report that other Japanese laws may need to change to account for the tech, including the Banking Act and Financial Instruments and Exchange Act. Reports indicate that other groups in Japan are moving to plug some of those gaps as well. According to a report from Nikkei, the Accounting Standards Board of Japan decided earlier this week to begin developing standards for digital currencies like bitcoin. Its work mirrors other efforts being undertaken elsewhere, including Australia, which began pushing for such standards late last year. Humaniq, a revolutionary new mobile application, has announced the launch of its Initial Coin Offering, hereinafter ICO, a pre-order fund for bank transfers on their website in order to meet expected high demand. The cutting edge product combines the latest biometric, Blockchain and mobile technologies in order to bring a new solution to the global problems of global financial exclusion and financial illiteracy that keep some 2.5 bln people living in poverty. The pre-ICO page was set up in order for those who want to use dollars, euros and pounds can also join the offering and to be able to send money ahead – before the expected rush – when the ICO officially starts on April 6, 2017. Humaniq CEO Alex Fork said that he was delighted by the positive attention that the platform has been receiving, which has received more than $300,000 in pledges from participants. Those who join earlier in the ICO will receive larger discounts than those who participate later. During the first 48 hours of the ICO, there will be a 49.9 percent bonus. Then a 25 percent bonus will be offered from April 8-14, wrapping up with a final bonus period of 12.5 percent between April 15-21. Fork developed the platform in 2016 after speaking with Ethereum co-founder Vitalik Buterin during a conference while they were discussing how the blockchain can help improve the lives of underprivileged people. According to Fork’s whitepaper, more than three bln people live on less than $2.50 a day with around 80 percent of the population surviving on no more than $10 each day. The creation of Humaniq aims to bridge the gap through an easy-to-use application to help improve peoples’ lives. Despite their financial services app currently being in alpha (proof of concept phase for testing and collecting user interface feedback), it has been downloaded more than 1,000 times from a variety of users who are keen to take part. The simple-to-use app utilizes facial recognition for identity management and is aimed at people who don’t have access to documentation that traditional banks would require. Fork states that the team is working on two tracks: UI and backend. While dates for the next update have not been announced, expectations have been surpassed by the rapid growth of the idea to its successful pre-ICO. Humaniq is planning to release a live version in June or July, with a global rollout expected toward the end of 2017. Its quick growth has also seen the team expand their services after they opened their London office earlier this month. This is their third office location, including Moscow and Luxembourg. As a key strategic hub, London will provide the ideal location to develop partnerships with startups, emerging technology experts, humanitarian organizations and the philanthropic community. The cryptocurrency bitcoin — money backed by mathematics rather than governments or precious metals — first came into existence around 2009. The digital currency, which is "mined" by computers, has since gained a solid number of adherents, and nearly as many questions. Bitcoin brags about their digital wallets, easy transfers, identity protection and minimal fees. Critics warn of the system's complexity to explain, as well as its volatility. Some question the use the money is put to, saying that anonymity can help criminals shift money safer. I think the real question is less about how widespread bitcoin's adoption is going to be, and more about how long before other currencies adopt blockchain as their basis. The early leader in almost any technology is usually not the ultimate winner. There is already a lot of development and early exploration both into integrating blockchain into currency, but there is not clear standard — yet. You don't need to go far to recognize why bitcoin is back at record highs. Just look at the situation with China's economy right now. The SEC delayed their decision on the Winklevoss's bitcoin exchange-traded fund, which means we'll likely not see what happens for several more months under a new presidency. Governments around the world will never want a currency that is supply limited. I think as long as it keeps going up and continues to stabilize in its pricing, more people and businesses will become interested and adopt it in the coming year. With more work being done on country regulations and standards, as well as further research on applications for blockchain, the comfort level for use will increase. The bitcoin era is halfway through its course, while cryptocurrency overall is still growing. The golden years are already gone, and only big mining pools will be able to thoroughly profit from it from now due to large investors bringing tons of technological and human resources to the table. However, cryptocurrency popularity will only increase based on Bitcoin’s success and others will emerge. Unlike fiat currencies, bitcoin volatility is influenced by regulation, politics and proposed technology changes. 2017 started with a record $18 billion market capitalization. With 90% of miners and 70% of trades in China, the recent regulatory moves created vast volatility. The rest of the year will see even more volatility with the political, economic and technical (such as block size debates) uncertainties. While the majority perceives digital currencies including Bitcoin, Monero, Dash and Ether as either a means of payment or a token for development, there still exists a relatively large group of users who consider these digital currencies as short and mid-term investments. Many investors within the digital currency exchange market still inquire about the timing of their investment. For short and mid-term investment, is it too late to buy the mentioned digital currencies? 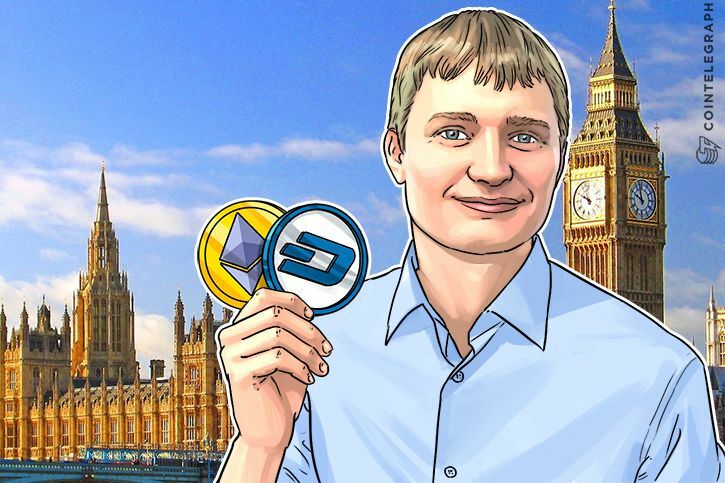 Dash and Ether are different from most digital currencies such as Bitcoin or Monero in the sense that they have unique monetary policies. Ethereum, for instance, is actually an inflationary token because it operates on top of a concept called the “Issuance Rate.” The Issuance Rate represents the number of Ethereum tokens or Ether that will be created within a year. In 2017, the issuance rate of Ether is 14.75 percent. Bitcoin and Monero, on the other hand, were launched and mined with complete transparency and legitimacy and because of their open processes. They continue to be two of the most respected and appreciated cryptocurrencies currently in existence. Since Bitcoin and Monero are based on a fixed supply of coins, it is quite evident that the value of the two coins will continue to rise until their supplies are maximized. In other words, Bitcoin price will continue to increase until it hits its 21 mln supply cap. Even when the supply cap is reached, if the demand of the currencies continues to increase, its price will maintain an upward trend. For Ethereum and Dash, the second and third largest cryptocurrencies in the world, it is difficult to predict their price trends due to their unique monetary policies. Furthermore, Ether is considered as an alt-asset instead of a digital currency because the Ethereum network uses gas or Ether to power decentralized applications, hence the necessity of an inflationary monetary supply. In general, cryptocurrencies including Bitcoin, Monero, Dash and Ethereum are all at their early stages. For both short and mid-term investors, it is important to recognize and evaluate the technical backgrounds and usability of these cryptocurrencies. Ethereum developers or users will argue that the price of Ether will continue to increase so long as the development community remains active. Conclusively, it is not too late to invest in cryptocurrencies that have potential to grow and evolve. The Boom Supersonic's XB-1 could travel from London to New York in three hours and fifteen minutes. The world's fastest jet could get you from Sydney to Los Angeles in just over six hours — and travelling on it could soon become a reality. The Boom Supersonic's XB-1, or the "baby boom," has received $33 million (£26 million) in Series A funding, taking its total raised to $41 million (£33 million), the company said in a blog. The latest backing came from a group which included Richard Branson's The Spaceship Company — the manufacturing arm of Virgin Galactic — as well as other "tech bosses, engineers, and astronauts," according to The Daily Mail. Costing more than $329 million (£262 million) to build, the jet could make same-day returns on roughly 500 routes around the globe — potentially as soon as the early 2020s. This means it could fly from London to New York in three hours and fifteen minutes, or Tokyo to San Francisco in five hours. A flight will cost you, however. Boom Airline's 45 seats are expected to cost $6,600 (£5,250). The airline will be the "fastest civil airplane ever made and the first independently-developed surpersonic jet," according to the company. It will travel at 1,451 miles per hour (10% faster than Concorde), and will fly at around 60,000 feet — higher than any other aircraft has flown, according to The Daily Mail, resulting in a quieter, less turbulent experience. 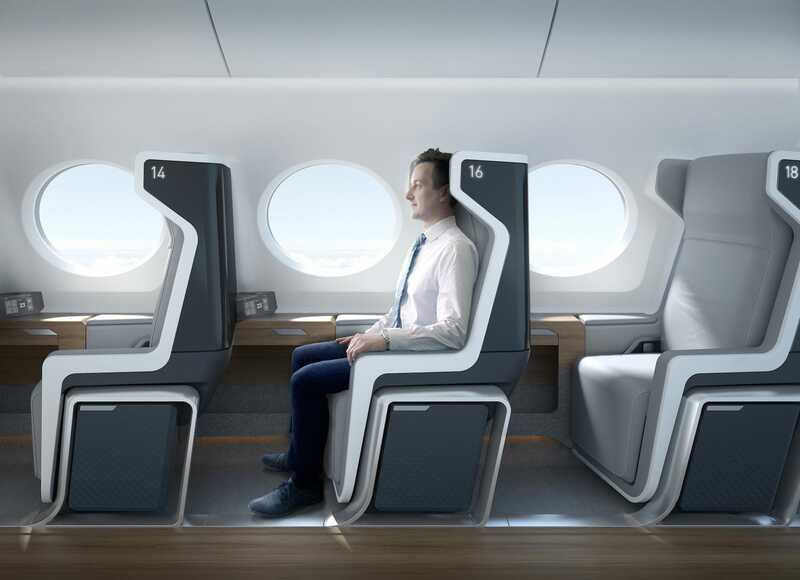 It will provide every passenger with a seat that is both window and aisle thanks to its two single-seat rows. At the launch of the jet last November, CEO and founder Blake Scholl said: "Concorde’s designers didn’t have the technology for affordable supersonic travel, but now we do." In a press release last week, in which the company said the funding round had reached $41 million, he added: "Our mission is to make supersonic flight a reality. With this new capital, we are closer than ever to the first flight of our XB-1 Supersonic Demonstrator in about a year." The funding will be used to "finish development and fabrication of the XB-1 demonstrator and conduct a thorough flight test program including sonic boom testing," according to the company. "We’re excited to have an option on Boom’s first 10 airframes," Branson said last year. "Through Virgin Galactic’s manufacturing arm, The Spaceship Company, we will provide engineering and manufacturing services, along with flight test support and operations as part of our shared ambitions." There is no value in creating products or services for which there is no need. On occasion, an organization will come up with a game-changing product and redefine a whole industry, such as RIM in the early days, replacing pagers with email anywhere, and Apple with its iPhone and iPad, which brought smart devices to the masses. But, for the most part, the businesses that thrive are those who have mastered the ability to identify a need and fulfill it. It is evident that they excel at anticipating what their customers would need, and when. They have essentially put themselves in the place of the user, and walked through what a successful experience would be. Interacting with these organizations is uncannily intuitive. The website is informative, expectations are clearly defined, there are no unpleasant surprises, and if it is a product, you could likely hand it to a child and they would be able to figure out how to get started. As you read this, I’m sure you are remembering your own experiences in dealing with companies offering this type of product or service. This may be anything from the great little restaurant you frequent or the car dealer you have bought a second or third vehicle from because you loved the service. But not all businesses are thriving. There are far too many companies, service organizations, and manufacturers more concerned with numbers, and specifically how high can their sale numbers reach in the next quarter, than they are with the experience of their customers in interacting with their products. No one will deny that Apple has made a huge impact with the iPad. Even if you are not an Apple fan, you can’t deny the device is simple to use. I can hand mine to a 3-year old and she will flick and swipe at the screen like a pro to find her games and books. I got an iPad for my parents (who are in their eighties). A week later, they wanted to buy a second one so they don’t fight over who gets to use it. These devices have opened up a whole new world of opportunity and discovery from the comfort of their La-Z-Boy recliners. And the best part (for me), I have barely spent mere moments providing them with tech support. When you consider that I’ve had to help them with setting up almost every other device (i.e. their first computer, programming numbers into phones, setting up HD television, replacing the 8-track player with an iPod) this is almost a miracle. In my role as a CIO, I get to preview and try a lot of different devices, software applications, and computer hardware. I admit that much of what I see leaves me underwhelmed, like the array of slate devices that have come my way recently. I also know that I would never, ever recommend that my parents use one of these other slate devices. The iPad comes with the Apple ecosystem. The iPad, while intuitive to use, is like celery – designed to move the dip (or in this case the experience) from the bowl to your mouth. A lot of the other devices are like celery without the dip. The experience runs out of steam pretty quickly. So what can an IT leader learn from this? We have a service catalogue but have never defined what a successful experience would look like. We ask our users to use products and services that we ourselves would never incorporate into our own department. We launch new technology initiatives without ever consulting the people who will actually have to use the new system. We get defensive when we are questioned about missing functionality or dismissive when new features are suggested that we didn’t think of. It doesn’t sound very nice to be a customer of this type of an IT department but, unfortunately, many of our users have these experiences daily. What is different though is that given the influx of personal devices and cloud- based applications and services, our users now have a choice. For example, marketing departments can set up a contract with SalesForce.com and completely end run your department. It’s time to change the way IT is done in your organization. Dust off your service catalogue; sit down with your team. Take each of these services and discuss what a successful user experience would look like. It’s not about what’s most convenient for your team, but what would make the user experience the best it could possibly be. Talk about how you are going to make it happen. Then do it. If you start at the end, you are leveraging proven wisdom for running a successful organization. Note: A version of this post by the author previously appeared on the IT World Canada website. I’m the Chief Information Officer for Appleby College, in Oakville, Ontario Canada, where my team is transforming the delivery of education through innovative application of technology. I'm also a beBee Brand Ambassador. I'm convinced that IT leadership needs to dramatically change how IT is delivered rather than being relegated to a costly overhead department. In addition to transforming IT in my role as CIO, I look for every opportunity to talk about this… writing, speaking and now blogging on BeBee (www.bebee.com/@kevin-pashuk) , LinkedIn, ITWorld Canada, or at TurningTechInvisible.com. Daily Bread: A Rock Solid Foundation Do you have unhealthy relationships influencing you? Do you ever wonder what it takes to please God? It couldn’t be clearer than in Proverbs. Ask God to give you a willing heart as you prepare to be counseled by Him. Who you associate with tells a lot about a person. And in Proverbs, the Lord wastes no time warning against such basic mistakes. It is interesting that the fear of the Lord (vs 1-7) and choosing friends (vs 10-19) are the first two subjects in the book of Proverbs. We should not take lightly this first passage – one of the longest in the whole book. As Solomon, through the inspiration of the Holy Spirit, lays the foundation on how to live a successful life, he gives us two clear points of emphasis – wisdom through the fear of the Lord and foolishness through poor relationships (v 7). Take time to check out Psalm 128:1, Psalm 112:1, Proverbs 8:3, Job 1:1, and 2 Corinthians 5:11a. In each passage, the fear of the Lord has a direct correlation to walking in His ways, finding delight in His commands, and hating evil. It is a direct rebuke of foolish, undisciplined living. Do you desire to be filled with wisdom and knowledge? Do you want to honor God with your life and fear Him with a holy fear? Then start by looking at your influences. Who do you spend time with? Who influences you? Is it God, or is it unhealthy friendships? Heavenly Father, I look to you from the depths of my heart to give me daily direction for every aspect of my life. Thank you for your personal counsel. Is Jesus the rock in your foundation? Do you believe He can truly calm the storms in your life? Talk to one of our volunteers about the storms going on in your life and ask for prayer. Chris Blue's fiancé was battling bone marrow cancer and almost died on the operating table. He knew God had put her in his life for a reason and he asked her to marry him. And now he is taking a big risk and trying to live his dream. And his emotional version of 'The Track Of My Tears' wowed the judges and us. God bless this young couple! 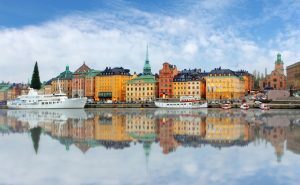 A project set up last year by Sweden’s land registry authority, the Lantmäteriet, to trial blockchain technology for recording property deals has just moved to its second phase. Conducted by blockchain startup ChromaWay and consultancy group Kairos Future, the initiative is also working in partnership with two banks: SBAB and Landshypotek. Another use example is verifying the existence of the IOU issued by the bank to the property buyer. “That part is going to be hidden for the others in the contract. You will only have the hash confirming from the bank that the IOU has been signed,” said Kempe. The newly entered second phase involves examining how the technology can be integrated with banks’ existing processes when verifying contracts. The firms indicated that ChromaWay’s platform won’t be handling any payments on the system – those will remain separate. "Our reason to participate in the project has not been to actually implement the solution in our current processes. But rather an opportunity for us to get a better understanding of the blockchain technology and how it might possibly fit in our future products/offerings." There remains one major hurdle to fully integrating this blockchain system for selling a house from start to finish. “We want to work fully digitally, but the law requires, at the moment, physical signatures on the papers, which makes it difficult,” explained Kempe. While trust in digital contracts has been lagging for a long time, he argued that blockchain tech can now provide the trust needed to move forward. “As soon as the legislator understands that this is possible, I think it will come true,” said Kempe. Helping that process, the EU passed a directive in 2016 that puts more weight behind digital signatures and could eventually influence Swedish policy. “Actually, the land registry today, they don’t receive much physical paper, they get PDFs of the contracts which are signed electronically so they don’t store the physical contracts. What we are thinking of is, you can actually sign the contract digitally in the blockchain to the land registry, they can award the land titles and then you can throw away the paper so you’re not dependent on the physical archive." ChromaWay and Kairos Future said that they have been approached by more than a dozen public authorities from other countries expressing interest in the project. The team explained that they don’t hold any patents for the platform, preferring to see other organizations work on similar schemes, eventually leading to more collaboration. According to ChromaWay’s Henrik Hjelte, the use of blockchain could be transformative for developing countries in managing ownership of property and improving transparency in real estate sales. On the other hand, proof-of-concept tests in Honduras were put on the back-burner in late 2015 over an apparent breakdown in communications between the government and Factom, the company that was supposed to conduct the trials. “There’s very little reason to think that this won’t work." What’s Blockchain and How Could It Impact Government? What's Blockchain and How Could It Impact Government? Blockchain technology is the latest system governments are considering in the long-standing effort to increase efficiency. The source code was originally created to support bitcoin, a decentralized payment processing, and stock exchange system. Creators were attempting to solve the risk that an online currency such as bitcoin could be double spent. To maintain the decentralized system, the network works on a peer-to-peer model, creating locked records that redundantly save across multiple servers. Similar to a shared document, one transaction can be viewed across multiple places. However, a block record cannot be changed once it is recorded, only referenced as new records are made. The diffuse system is meant to act as its own iterative confirmation service. Many people are talking about how blockchain could change everything from health records management to identity verification. “It has the potential to create new foundations for our economic and social systems. But while the impact will be enormous, it will take decades for blockchain to seep into our economic and social infrastructure,” an article in the Harvard Business Review says. Each recorded block of information represents a transaction and each transaction is redundantly recorded. Nearly 300,000 blockchain records are recorded daily for Bitcoin alone. One UC Berkeley study expresses concern that the order of transactions is extremely important, and research firm Constellation says blockchain's main purpose is to prove entry order. Maintaining record order could be worked around if timestamps were applied by a vendor, but the necessity of this is still being debated. Blockchain has grown so much since its first mention in 2008 that an ID program and bank card were created to support refugees by an experimental Voluntary Nation program. Aside from banking and identification confirmation, blockchain can also create smart contracts that automate transactions between parties and verify ownership of assets before the exchange is finalized by referencing older block records. Similar systems have been suggested for health-care records management and banking security where estimates of cost savings differ, anywhere from $12 billion to $15 billion. Using a system that can decrease risk, is auditable and maintains real-time settlements could minimize the need for many record-based positions such as notaries and contract lawyers, leading to predicted savings. The multiple uses for blockchain is what concerns many stakeholders, especially as many rush to find use cases for the tech. 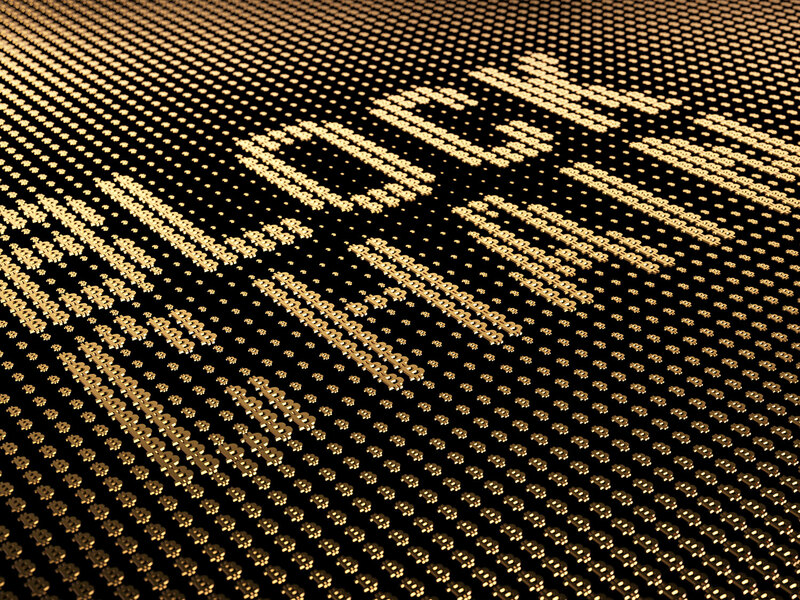 “When discussing blockchain technology, it is important to remember Amara's Law (named after Roy Amara, co-founder of Institute for the Future): ‘We tend to overestimate the effect of a technology in the short run and underestimate the effect in the long run.’ Anytime a technology goes through a hype cycle as is happening with blockchain, I find this maxim useful to reference,” Rachel Hatch, research director at Institute for the Future, wrote in an email to Techwire. Startups like Ascribe remove the middle man from digital art, transferring more of the profit to the artist and the art to the buyer in one series of records. Many vendors agree that as more things become connected, more records are necessary. “The Internet of Everything needs a Ledger of Everything,” the Harvard Business Review said. Hatch referred to this as a space for opportunities for change and growth. With a similar eye on change, Congress created a Blockchain Caucus to study use cases, and Delaware is considering it for its corporate registry. Many stakeholders agree that adoption will be a long time coming because the technology is the kind to build off of, not the kind that turns a business model upside-down. “The process of adoption will be gradual and steady, not sudden, as waves of technological and institutional change gain momentum,” the Harvard article said.